Panic buying? When will the housing market slow down? Houses selling over asking price is becoming the norm, these days. Kinda crazy. Sometimes a house is just listed under market value to attract a frenzy of buyers. An old tactic that has worked well in larger urban markets. Today, that tactic is being used in smaller communities, too. What’s unclear is if this selling tactic is contributing to houses selling for more than they’re worth. And what is a home worth, anyway? I always thought a house was worth what someone was willing to pay in the open market. That’s still true in most cases, today. When I see reports of houses selling for $100k, $200k and $300k over asking, it makes me wonder. How long will this market last? Will it crash? And if so, when? It’s hard to make forecasts and I can’t see into the future, but let’s examine this a little. I spoke with some experienced realtors and senior management of reputable financial institutions. They tell me the end doesn’t appear to be in sight. The lack of houses for sale is driving the market. The lack of new homes being built in major urban centres, like Toronto (and GTA), Hamilton, Vancouver, is fueling this increase. And with immigration of between 100,000 to 150,000 new residents in the GTA expected each year, this will also drive up demand. People want to own their homes. 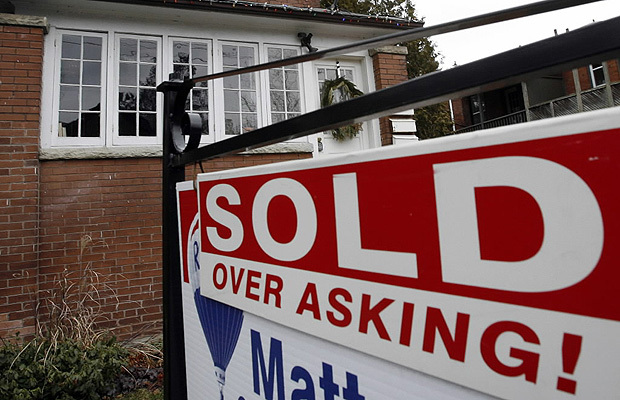 In 2016, house prices were reported to increase by 22% in Greater Toronto and 15% in Greater Vancouver. Consumers are reading this and thinking they will never get in if they wait, so they buy…some of them will “panic buy”. I’m not one to promote ‘panic buying’. A real estate purchase should be made for the long term. Plan on owning for 7 years. This is how long it will take to amortization the acquisition and disposal costs of real estate. It’s simple math. And mortgage rates are still near all-time lows. Making it more affordable. Perhaps there is something else going on.. Are builders shying away from building due to the fact house prices have gone up so much? Are they worried they won’t be able to sell and make a profit at these levels? And if this trend of low supply and higher demand continues, when will it end? I don’t have the answers, but one thing I will say is that you shouldn’t treat real estate like a penny stock gamble or a day at the horse races. Don’t speculate. This is a large amount of money to gamble with. I love real estate as a long term investment. It’s a proven winner over the long term. Be sure you can hang in there if there is a correction. In any down market, the pessimists will always come out of the woodwork to say, “I told you so”. If you can stick it out for those 7 years, chances are, you will be happy you did. History supports this. Speaking of pessimists…. what happened to all those negative forecasters that were telling us not to buy a house, 3, 4, 5 6, 7, 8 and 9 years ago? Haven’t seen them for a while. If you listened to the housing bears, how much would you have lost? House prices have doubled and some causes, tripled over the last 10 years.. Where are those housing bears today? For this reason, please don’t rely solely on flash reports from the loudest mouth in the media. Get some expert advice to find out if buying a house is right for you. Speak with an experienced Mortgage Broker and Realtor. Yes, a good realtor or mortgage broker won’t push you into something you aren’t ready for. Speak with a trusted advisor. Get guidance from someone you trust or ask them who they would recommend. Previous Previous post: Another example of BIG SIX BANK inflated penalty calculation.. $13,634.00! Wow! Next Next post: BIG FIVE BANKS employees speak out about deplorable sales tactics… and it’s gone viral! Bought a 1950s bungalow in Burlington in 2008 for $310. Same model house, next street over listed and sold in 2013 for $450. SAME house just sold, last week for 113% of listing… $825… this is nuts !!! And property taxes seem to go up way above inflation all based on property value..
Agree but enjoying this ride…bought my house in a nice quaint area of Hamilton in 2013 for $235. Was recently appraised at $475 by the “banks.” We know you get more than the appraisal rates when you list! However, the downside….increase in taxes! Maybe this is the ploy behind the scenes and not only supply and demand? CanadaMortgageNews.ca Panic buying? When will the housing market slow down?